iPhone price cuts hitting Radio Shack, Target tomorrow? Let the speculation begin! It may not be a sign of an iPhone refresh, but we’ve received multiple tips today about an imminent price drop for Apple’s flagship smartphone. 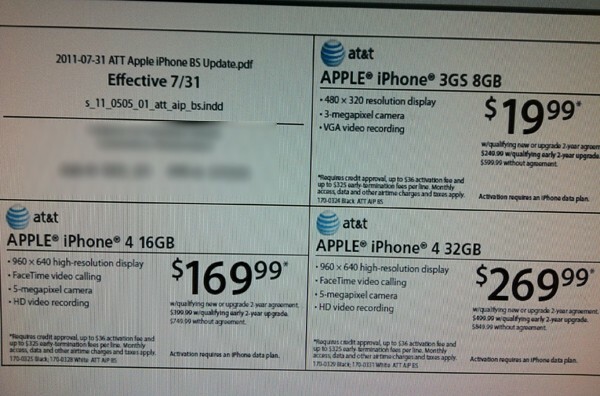 According to a pair of trusty tipsters, Radio Shack is prepping to cut the cost of AT&T’s 16GB iPhone 4 to $169.99, with a two-year contract, from $199.99. The 32GB version will likewise take a $30 plunge at the Shack, ringing in at $269.99, and the price of the 8GB 3GS will drop to $19.99. Phone Arena is likewise reporting on Target slicing up the old Apple price tag, but lists varying numbers based on carrier. If all this talk turns out to be true, those prices should be ripe for the picking starting tomorrow. iPhone price cuts hitting Radio Shack, Target tomorrow? originally appeared on Engadget on Sat, 30 Jul 2011 18:01:00 EDT. Please see our terms for use of feeds. Many simpler forms of life on this planet, including some of our earliest ancestors, don’t have proper brains. Instead they have networks of neurons that fire in response to stimuli, triggering reactions. 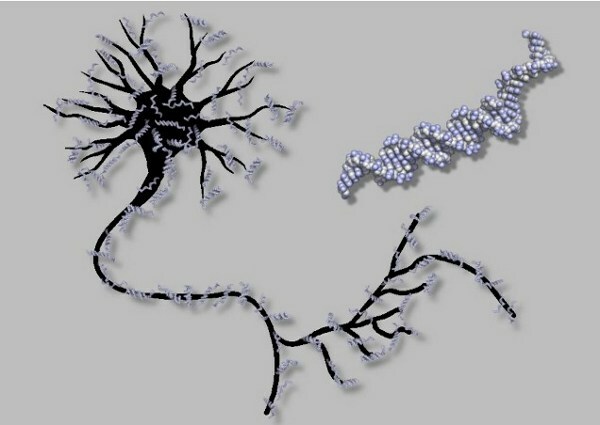 Scientists from Caltech have actually figured out how to create such a primitive pre-brain using strands of DNA. Researchers, led by Lulu Qian, strung together DNA molecules to create bio-mechanical circuits. By sequencing the four bases of our genetic code in a particular way, they were able to program it to respond differently to various inputs. To prove their success the team quizzed the organic circuit, essentially playing 20 questions, feeding it clues to the identity of a particular scientist using more DNA strands. The artificial neural network nailed answer every time. Check out the PR and pair of videos that dig a little deeper into the experiment after the break. DNA-based artificial neural network is a primitive brain in a test tube (video) originally appeared on Engadget on Sat, 30 Jul 2011 16:36:00 EDT. Please see our terms for use of feeds. BMW’s been teasing us with its vision for electric motoroing for years, and today, folks, the trend continues. The German automaker has unveiled two concepts from its upcoming i sub-brand: the city-dwelling i3 and a rehashed version of its i8. This is the first time we’ve officially seen the smaller of the two, as the car formerly known as the Megacity had only been spied in an official render and during routine testing at the arctic circle. It’ll haul four peeps with its 150km range (around 100 miles) and accelerate from 0-60mph in around 8 seconds. As for those with range anxiety, the German company will soothe such fears with an optional range-extending motor dubbed “REx.” Either variant could land in your garage in 2013, where you’ll be able top them up in 6 hours with a standard socket, or up to eighty percent in an hour if you’re rocking a spiffy high capacity charger. The i8, which you’ll recall for its radical aerodynamic design and hybrid diesel-electric drivetrain, has received a bevy of aerodynamic tweaks and junked its oil burner, opting for a gasoline one instead. Engine swap aside, the sporty coupé apparently drinks only 2.7 liters per 100km — 87 mpg (!) for yanks — which is unreal in a car that’ll accelerate to 62mph in 4.6 seconds. Sound too good to be true? We’ll have to wait until 2014 to see if München can make good on those promises, but in the meantime feel free to peruse the galleries, videos, and PR after the break. BMW unveils new i3 and revamped i8 concepts, we await our automotive future (video) originally appeared on Engadget on Sat, 30 Jul 2011 14:42:00 EDT. Please see our terms for use of feeds. This entry was posted on July 30, 2011, 6:11 pm and is filed under Mobility. You can follow any responses to this entry through RSS 2.0. Both comments and pings are currently closed.